Listed below are some of the extracurricular activities Catholic school students may participate in. Academy and school students have the opportunity to participate in sports through the Catholic Youth Organization (CYO). The CYO provides opportunities for those interested in baseball, basketball, cheerleading, soccer, softball, track, swimming, or volleyball. The person is the main focus, not the athletic activity. Through their programs the CYO promotes participation and sportsmanship, with the leadership necessary to form a well-rounded individual. Visit the CYO website. 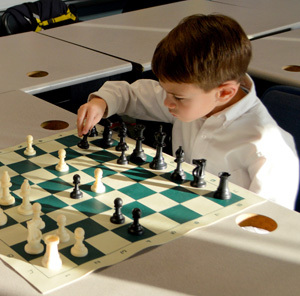 Almost all academies and schools offer a variety of after-school clubs and activities. 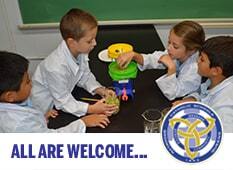 Some of the common clubs include Year Book, Aquinas, Student Council, Chess, Arts & Crafts, Choir, and Science. However, you may also find clubs like: Drama, Crochet, Tap Dancing, Cross-Country, Confectionary, Cooking, Flag-Football, Hand Bells, Origami, Piano, Robotics, Photography, Twirling, and more. New clubs are introduced frequently and throughout the year, so call the school you’re interested to find out what they offer. Have an idea? They might take you up on it. Many students participate in scouting activities throughout the diocese. The Diocese of Brooklyn Catholic Committee on Scouting provides guidance, vitality and leadership in the spiritual phase of Scouting for all Catholic Scouts and Scouters of the Diocese. They endeavor to make the Scouting Program available to increasing numbers the youth, especially those in Catholic parishes and schools. The agenda of the Committee supplements the programs of the Boy Scouts of America and Girl Scouts of America with special instructions and activities, in the spiritual phase of Scouting as it relates to Catholics. Visit the Catholic Committee on Scouting website.